Cozy Up with BIG BULKY!! 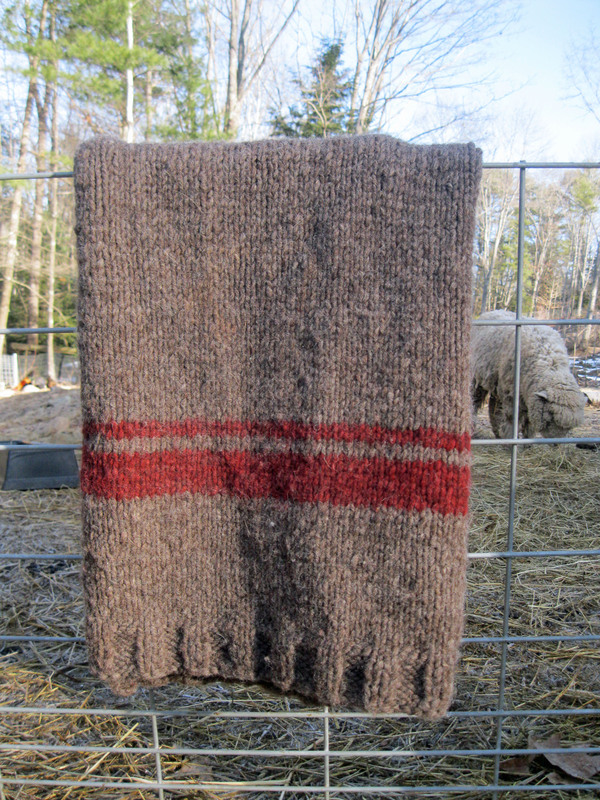 | Romney Ridge Farm Yarn Co. Yes, it has been a pretty mild winter as far as Maine winters go. But we can count on a few more cold months, and many more nights snuggled up on the couch after a long day. So here are the details of the Big Bulky Blanket. Materials: 7 skeins of Romney Ridge Farm Bulky Yarn -6 natural & 1 Over-dyed. Needles: size 15 circular needles. Ribbing K2, P4 for 5 rows. Knit MC for 5 inches then switch to stripe color. Knit 6 rows of stripe, switch back to MC for 2 rows, knit 2 more rows of stripe color then back to MC. Switch to Stripe color and Knit 2 rows, switch to MC and Knit 2 rows, switch back to stripe color and Knit 6 rows. Knit 5 inches of MC. Repeat ribbing. Bind off and weave in ends.